Webwise.ie / Parents / Get informed / Explainer: What is Snapchat? Snapchat is a mobile messaging application used to share photos, videos, text, and drawings. It’s free to download the app and free to send messages using it. It has become hugely popular in a very short space of time, especially with young people. There is one feature that makes Snapchat different from other forms of texting and photo sharing: the messages disappear from the recipient’s phone after a few seconds. This message will “self-destruct” in 10 seconds. It is simple to use; you take a picture using your camera phone, select recipients from your contacts, decide how long you want the message to be visible for (up to 10 seconds), and click send. For the recipient, the process is very like getting a text message, simply tap to view a snap. Also, the message disappears from their phone once the time limit has expired, although the details of the sender and the time stamp remain. Users can add friends from their phone/device contact lists in addition users can now add friends who are nearby them, so if users are hanging out in a group – it is now easier for them to connect and become friends. 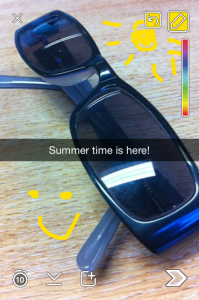 Snapchat has another nifty feature that contributes to its popularity; a simple drawing tool. Users can easily draw pictures, draw on top of photos, and add text to photos before sending them. This feature is a hit with young people who are using social networks as an outlet for creative expression and having a laugh. 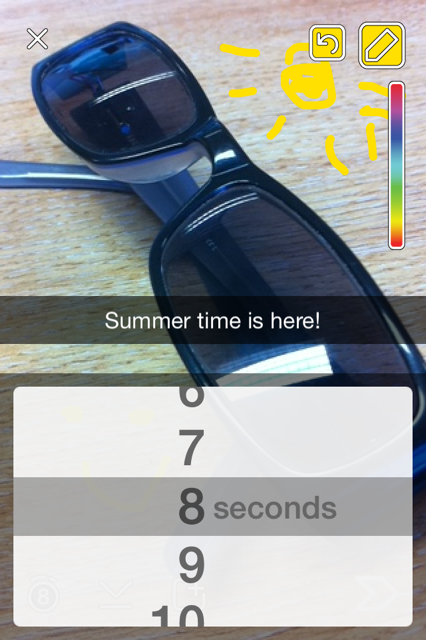 Snapchat is now being used for its multiple communication features. Not only can you voice or video call, you can send edited pictures while on a call, and leave audio or video ‘notes’ while using the messenger feature. The ‘notes’ are 10-second video clips that you can send. These are generally sent as ‘reactions’ and are played with audio when clicked. The newest update to the app has caused consternation among its users, with over 700,000 people signing a petition to get the update reversed. The changes, however, will not be reversed as they have been added to make more money for Snapchat. Many of the features that appeal to young people have been moved and users are finding it difficult to reacclimatise to the app after the update. We have added some of the new updates to this explainer. 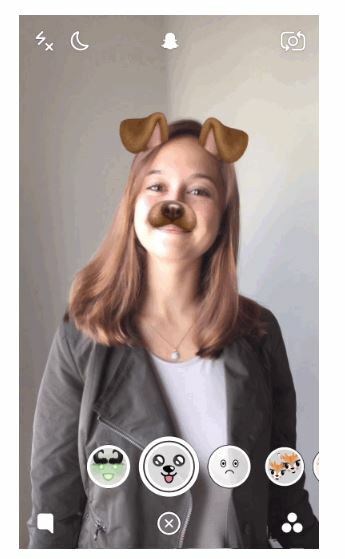 One of the most popular features of Snapchat among Irish teens are the Lenses which allow users to add fun real-time special effects and sounds, change their voice in videos, face swap with friends, or even super-impose a face from your photo gallery onto your face. Another popular feature on the app is Snapchat Stories. Users can compile photos/videos for all their friends to view and publish them as a Story. Unlike normal Snaps, Snapchat Stories last for 24 hours and can be viewed more than once. Teens like this feature as it allows them to share snapshots of their lives from the last 24 hours with all of their friends. There is also an option to share your story publically using the Our Story feature. Snapchat users can also browse through stories published by popular brands and celebrities. 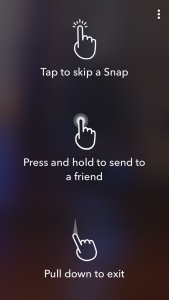 UPDATE: Friends’ Stories could be accessed by swiping left on the main camera screen on the old version of the app, they can now be found by swiping to the right on the new Friends page. 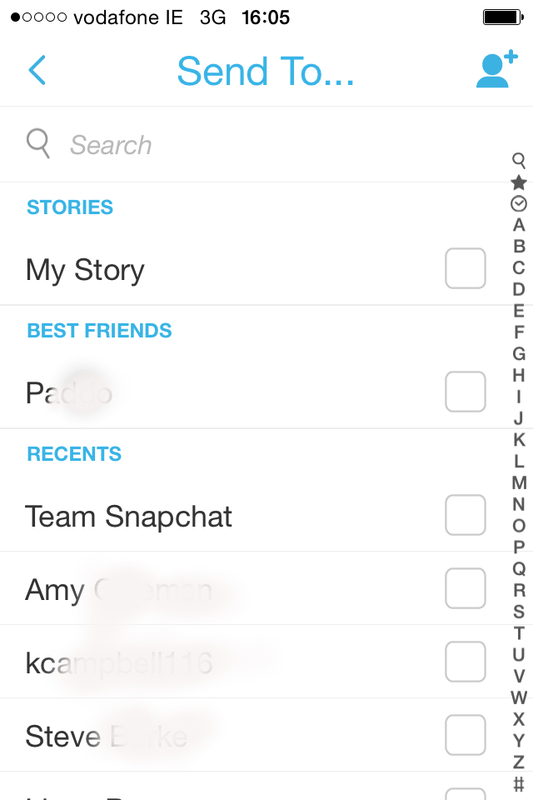 Snapchat now allows users to upload photos and saved Snaps from their device photo albums. 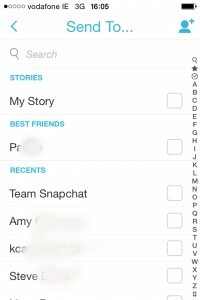 Snapchat Memories was created so users could show each other their photos from the app. Users can also search through memories using different tag words associated with the photos for example cat, hug, selfies etc. Memories can be shared as a story, directly to another friend or by showing a friend the album in real life. Users have the option to hide photos imported to Memories by moving them to the ‘My eyes only’ folder which can be password protected. The memories feature can be accessed by swiping up on the main camera screen. 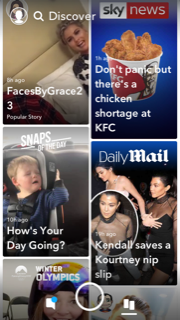 Snapchat now shows a range of news and entertainment videos on its ‘discover’ feature. Here you have access to articles and videos from their media partners. These small ‘snaps’ make it easy to keep up-to-date with your favourite brands. The user can access Snapchat Discover at the bottom right-hand side of their screen and can flick through the content there. The risk for younger users is that the content is not filtered and they may come across news stories, or tabloid style articles that are not age-appropriate. Popular live stories also make it into the discover feed and there is no way of knowing what could trend on Snapchat. The stories in the Discover area can be forwarded to friends. This is a relatively new to Snapchat and came in with the 2.0 upgrade in March 2017. It adds a gaming element to the app which can be achieved if you follow a few rules. If you and a friend ‘snap’ each other within 24 hrs for three consecutive days, you will be awarded with a fire emoji beside your names. The number beside the fire emoji signifies how many snaps you have shared (chats will not up the number). The aim of this ‘snapstreak’ is to maintain the stream of texts between you and the other person for as long as possible without breaking the chain. If either you or your friend fail to send a chat within the time frame the streak will end. If for any reason, your snapstreak disappears, you can use the report tool Snapchat Support to query it. They will get back to you in 24 hrs and may be able to reinstate the snapstreak for you and your friend if you meet the requirements. There are a range of different emoji’s that appear next to your friend’s names and these signify how you interact with them. These are private and you can check out what they mean here: snapchatemojis.com/friends/. There are 200 stickers are available in the private chat section. To block a user, tap the Menu icon, select “My Friends,” locate their name in the list and swipe right across their name or on Android phone, long-hold the name, press “Edit” and then “Block.” To delete a friend from your contacts, press “Delete.” Even if you haven’t added the user as a friend, their name will still appear in the “My Friends” list under “Recent” if they have sent you a message recently. 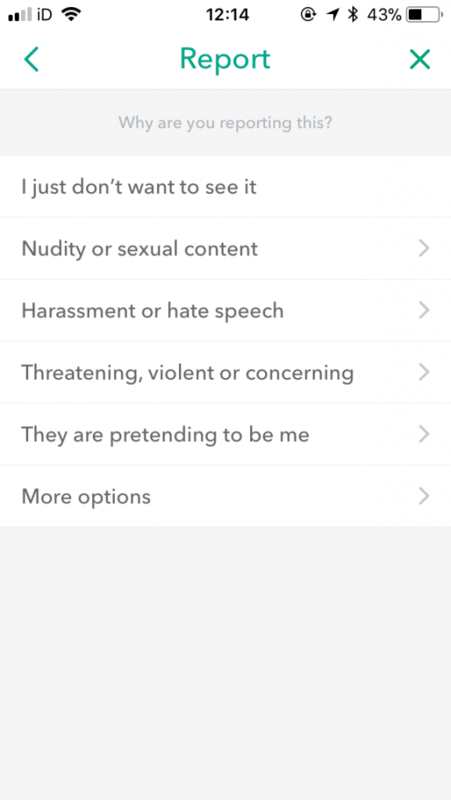 Discover live stories can also be flagged for inappropriate content. Just select the flag on the bottom left-hand side of the story and you will get this screen. Snapchat also allows users to send group chats. Groups can be created while sending a Snap, or when making a new Chat. When your friends are present in a Group Chat, their name is displayed at the bottom of the Chat. Users can tap their friends name to start a 1:1 Chat within the group chat. Chats sent to a Group are deleted by default after 24 hours. 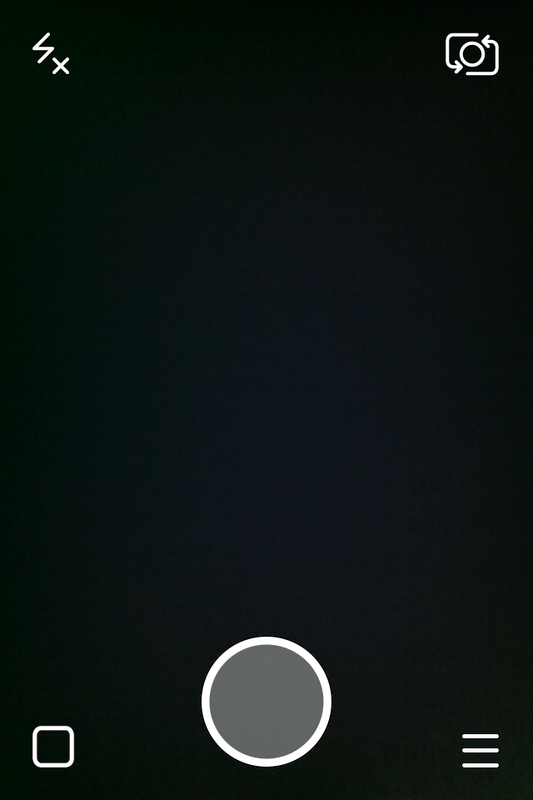 Snaps sent to a Group can be opened and replayed just once by each recipient. If a Snap isn’t opened, it’s deleted after 24 hours, just like Chats. Update: The group chat features are now available in the Friend page.